Cars that I have owned/own. 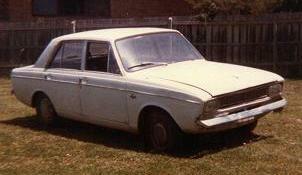 My first car was a 1969 Hillman Hunter. I purchased it in November 1983 from the local car pound for $5. It needed new piston, rings and bearings. The man I bought it from couldn't believe it when I asked him for a receipt so I could register it. It was quite a good car. It got registered in 1985. After driving it for a while it started jumping out of fourth gear, so I just used to hold it in gear. This was too much for the gearbox one day when I had 4 others in the car and four gear disappeared taking third with it. I bought a secondhand gearbox and that jumped out of second! I sold the car to a friend. He really liked it. 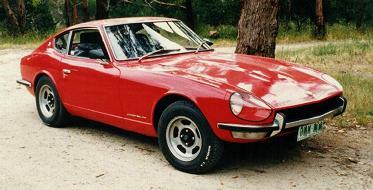 My second car was a '70 Datsun 240z which I bought in February 1986. 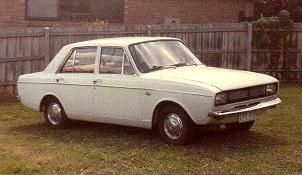 It had a rather long 2.4 litre straight 6 engine than sounded like a speed boat. 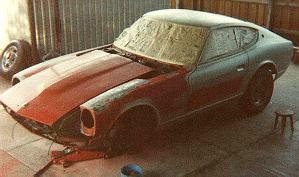 I prepared the car for painting and my father sprayed it. It was registred in December 1986. I stopped driving it when the diff became noisey, the engine blew smoke and the suspension felt terrible. 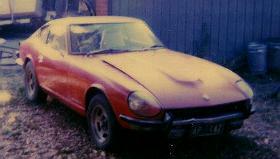 It sat in the garage for quite a few years before I finally sold it unregistered. I still miss not having it. It was a great car but was too impractical and too hot in Summer. 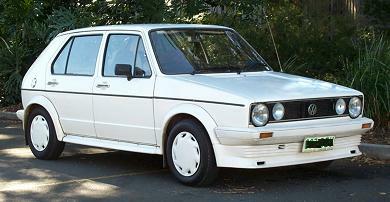 Next I bought a '79 VW Golf Diesel in 1991. A great little car that could cruise comfortable at 100 kph and give me just under 50 mpg. Much more economical than the thirsty 240z. It was a stock car when I bought it and I thought it looked a bit too boring so I put a BBS inspired body kit on it and replaced the GLD grill with a GTi one. The standard Golf wheels didn't look right so I fitted Holden Gemini wheels. The driver's door handle broke and the 2 front tyres were wearing so I stopped driving it for about 4-5 years. It sat in the garage and collected dust, as you can see in the photo. 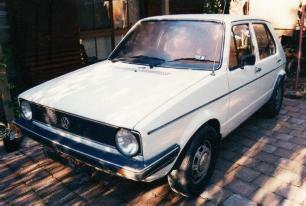 In 2001 I decided to put the Golf on the road again. I fixed the door handle, put new tyres on it and got a wheel alignment. Having not been driven for a few years the matser brake cylinder started to leak. I got this fixed then noticed that the engine was running hot. A radiator flush and refill fixed that problem. I drove reliably until November when I let the water level drop too low and nearlt cooked the engine. After that is used heaps of coolant, I suspect it has a blown head gasket. I drove it until the registration expired in May 2002. It is currently resting in the garage. I started looking around for a car again towards the end of 2000 and in December this ad caught my eye. Not knowing anything about rotary engines I took it for a drive and was hooked. The engine felt like a cross between a 2 stroke and a turbine. It drove very well and never let me down despite reading horror stories about rotary engines blowing seals just after I bought it. Whilst I owned this car it got broken into TWICE! The second time my socket set was stolen. The electric windows/mirrors were cool, but in Summer the cockpit wasn't. I figured it probably wasn't worth getting the air conditioner fixed and decided to sell the car due to it being impractical. I sold it in early March 2002. By late March 2002 I had driven a few cars within my budget. Of these I thought this Fairmont EB II was the best. 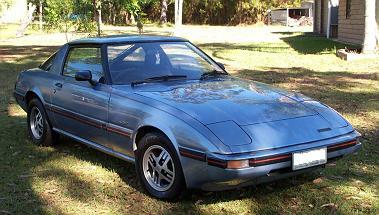 It has the luxury features (electric windows/mirrors) of the RX7 as well as an air conditioner that works, ABS, cruise control and a trip computer. This was sold a few years later.